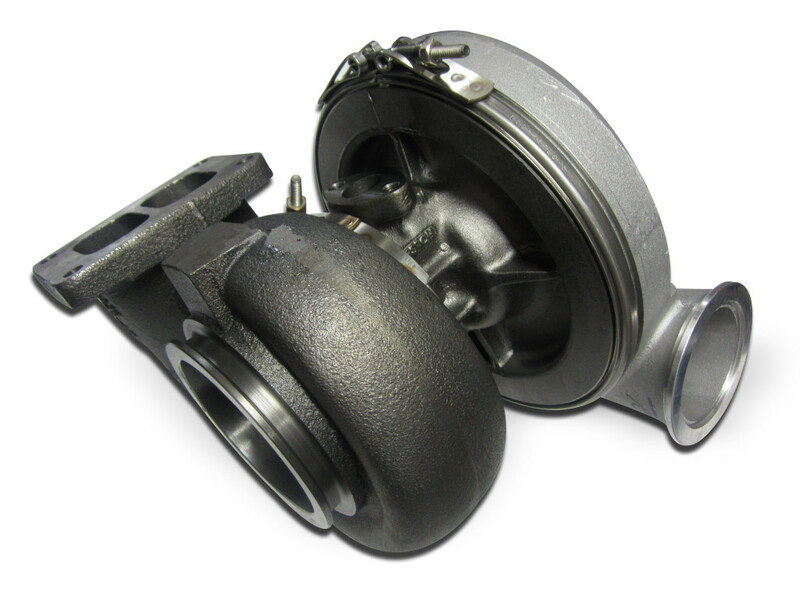 If you’re looking for an extremely powerful turbocharger that will add some serious HP to your large-engine vehicle, the Holset HX60 turbo should be one of the top choices on your list thanks to its comparable affordability and the long-lasting reliability that the Holset brand is known for. The HX60 is the largest model of Holset’s most common turbochargers. With an output range of .95kg/s, which equates to approximately 125.663 lb/min, there’s no denying that this one of the most affordable high-power turbochargers out there. And given the fact that each ppm of air can deliver up to a theoretical 10.86 horsepower, it’s easy to see why so many owners are choosing to go with the Holset HX60 turbo in their vehicles. Designed for larger V6 and V8 vehicles, the Holset HX60 works well with engines that have a 14 to 16-liter capacity. That being said, there are nearly countless real world applications for the HX60 turbo. From heavy automotive and farm equipment to high-powered racing vehicles, there are no shortage of stories of people using the HX60 to increase the performance of their personal, hot rod, and commercial vehicles. Formed in England in 1952, Holset has been a part of the Cummins Engine Company for more than three decades. Formally named ‘Cummins Turbo Technologies’, industry professionals, mechanics, and home automotive enthusiasts still refer to the brand as Holset because of the names long-standing association with producing long-lasting, high-performance turbochargers. Today, Holset Turbochargers, including the HX60 turbo, are found on millions of different vehicles and other engines around the around – especially across Europe and North America where they have enjoyed widespread popularity for over half a century. Is The Holset HX60 Turbo Right for You? You have choices when it comes to turbocharging your specialist power engine, but there’s no ignoring the fact that the Holset HX60 turbo is the preferred choice among high-end operators all around the world. 1) You’re on a Limited Budget – Simply put, you’re not going to find a better high-output turbocharger for the price. Because of their widespread popularity and use, it’s not hard to find a HX60 at a good price. And if you’re in the market for a used Holset HX60 turbo, there a large supply out there to choose from. 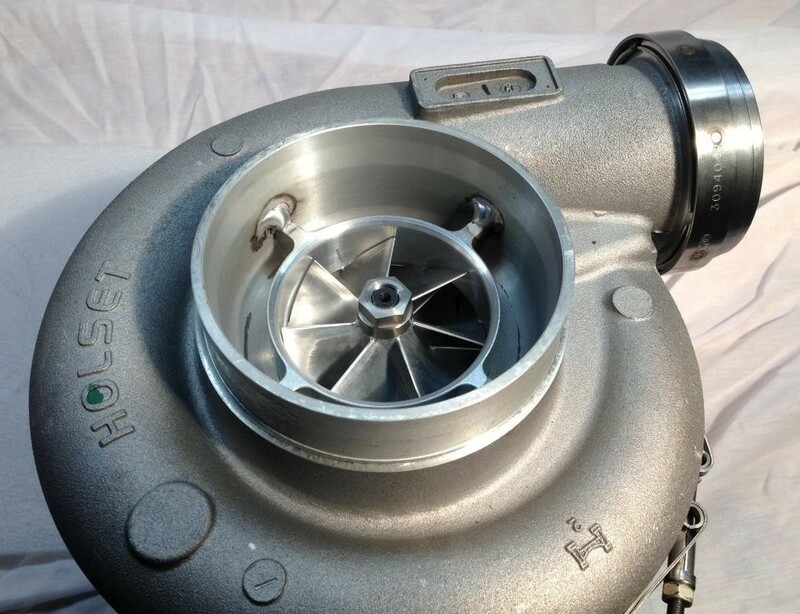 2) Lag Isn’t Your Number One Concern – The Holset HX60 turbo performs very well for such a high-capacity turbocharger, but just like other similar turbochargers in its class, there’s going to be some lag. Although this won’t be a major factor in most applications, big budget buyers may opt for one of the HX60’s competitors which has less lag. 3) You Need a Turbocharger That Will Last Long-Term – If you have an unlimited amount of money to spend and absolutely need a turbocharger with little-to-no lag, then don’t but the HX60. But if you want a reasonably priced, well-performing turbocharger that will likely last longer than your engine, you can’t go wrong with a Holset. For the price, power, and reliability, this is definitely one of the smartest choices for any high performance engine owner looking to get the biggest bang for their buck. Ideal for all but the absolutely most intensive applications, the Holset HX60 turbo is a solid option for just about any high capacity performance need the average owner would have.